← Success Stories - Jeffery L.
It’s always a great feeling to know that the products you’re selling aren’t just loved by the customer but are being used too! Our latest submission comes from Herve B. of Switzerland, the proud owner of a set of Leica Geovid 10x42 HD-B Edition 2200 Rangefinding Binoculars! It’s always a great feeling to know that the products you’re selling aren’t just being used but loved too! Our latest submission comes from Herve B., the proud owner of a set of Leica Geovid 10x42 HD-B Edition 2200 Rangefinding Binoculars! I had the pleasure of using the Leica Geovid 10x42 HD-B yesterday while I was doing some trekking in the Swiss Jura and it was just awesome! The lenses are super clear and sharp - even in the late winter afternoon, I was able to measure a dimly lit object at 2050 meters at the first trial and only holding the binocular by hand with no rest!! Not difficult at all! They are just excellent. I have yet to use the ballistic curve capabilities of the Geovid but I am sure I will be impressed when I do! Many thanks for selling such an outstanding product at such a good price! 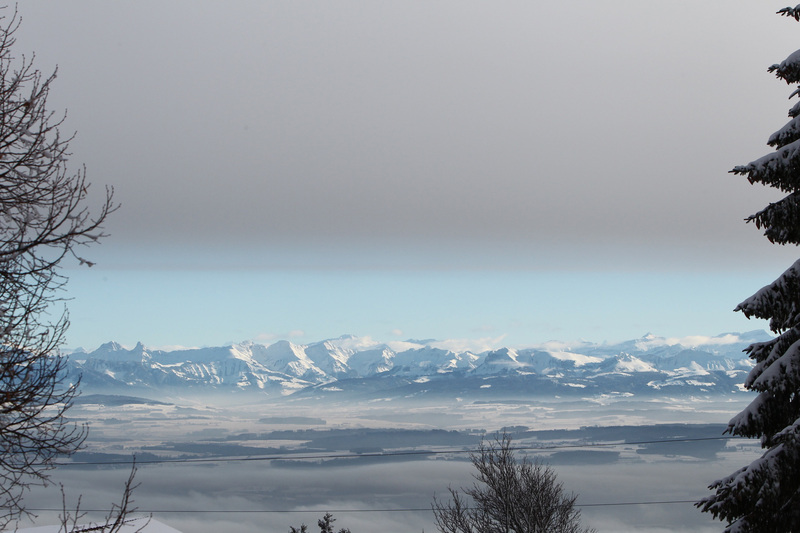 Thanks Herve for the story and the awesome photo of the Jura Mountains, what an incredible place!